Major schedule changes at Smooth Radio next week include Pat Sharp taking over Carlos’ afternoon show and Andy Peebles moving to weekends only. Carlos will move to weeknights in place of Andy Peebles, who has hosted the late show on the station since it launched in the north west in 2004. Andy will continue his Saturday night Soul Train programme. Pat Sharp’s weekend breakfast show will be taken over by former Real Radio Yorkshire presenter Daryl Denham, who has been covering weekday breakfast at the national station over Christmas. Lynn Parsons recently started her new regular slot on weekday mid-mornings after Mark Goodier resigned at the end of last year. David Prever will host Lynn’s former weekend Mid-Morning show. Other changes include a new movie show on Saturday and documentary slot on Sunday afternoons. The station has also introduced a new jingle package today created by Real and Smooth Radio’s Group Production Director Chris Stevens, recorded at TM Studios in Dallas and sung in the UK. Steve Collins, Programme Director for Smooth Radio said: “The new sound has gone through a recording process closer to that of the songs we play on the station, using talented musicians, playing live music, which showcases the much loved sound of Smooth Radio. 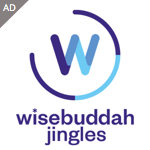 The station had been using Wise Buddah jingles since it went national in 2010.